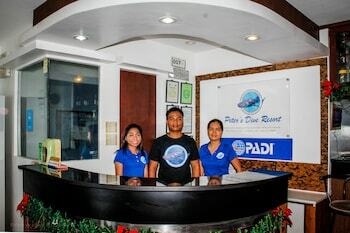 When you stay at Peter's Dive Resort in Padre Burgos, you'll be on the beach and 7 minutes by car from Busay Falls. The front desk is staffed during limited hours. Cabins By Eco Hotel Tagaytay is centrally located in Tagaytay, a 3-minute walk from Ayala Mall and 5 minutes by foot from Lourdes Church. Free self parking is available onsite. With a stay at ZEN Rooms Pasay Airport Road in Paranaque, you'll be within a 15-minute drive of SM Mall of Asia and Baywalk. A roundtrip airport shuttle is available for a surcharge.